Covered buttons. Contrasting profiles. Two pockets and a small pocket applied. 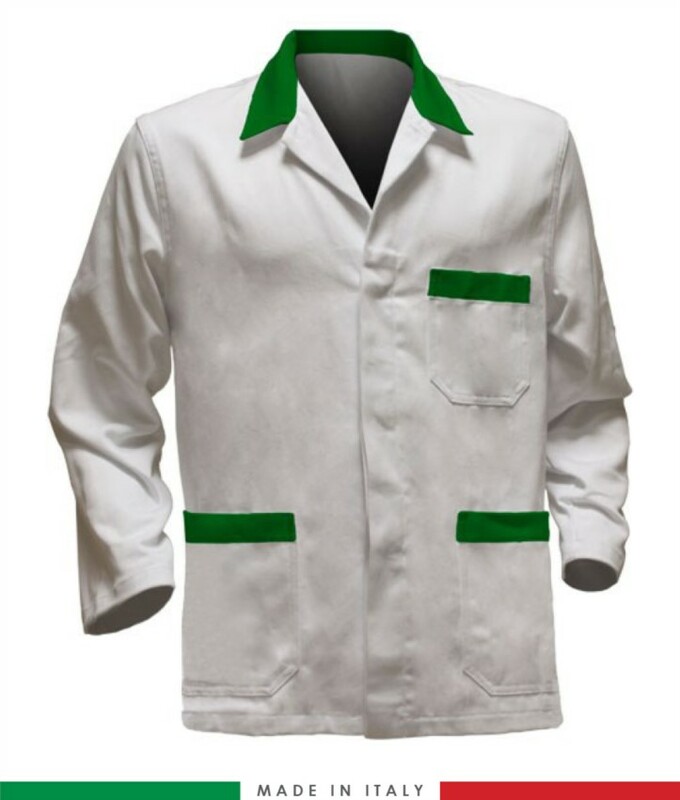 Dear friend, I suggest you this article: WORKWEAR JACKET FOR MEN; You can find it on the web at: https://www.castbolzonella.it/scheda.asp?content=.